I am still getting used to the fact that Alice is starting school in September, really how did that happen? I still remember the day I held her in my arms and became a mummy for the first time, like it was yesterday. But, here we are getting ready to send our big girl out into a new world, a world that she is more ready for than mummy. When Name it Labels got in touch about reviewing their products, my initial thoughts were they only sold labels for me to sew Alice’s name onto all her clothes. Now I am no seamstress and this job will be passed to my wonderful mum (thanks mum). So, I was thrilled to discover that they sold a whole range of items that would be perfect for us. 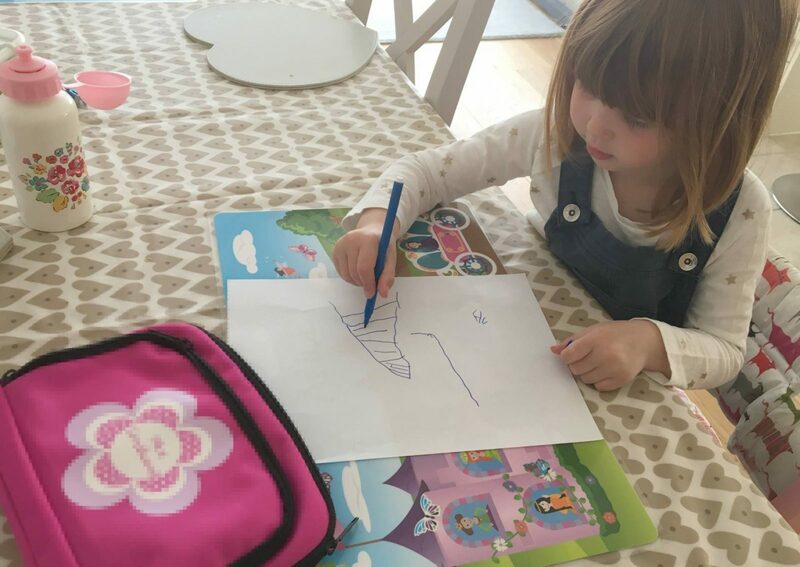 Alice decided that she would need a new pencil case to take to school, as she will be doing a lot of writing. She choose the pink one of course, with a flower on it. We were able to personalise it with her name, which means I don’t have to worry about trying to write her name anywhere on it. Alice loved it when it arrived and couldn’t wait to pop her pens in all ready to go. She decided it needed trying out and we took it on holiday with us. The main section was big enough for me to be able to include a small note pad, which was great on the plane. 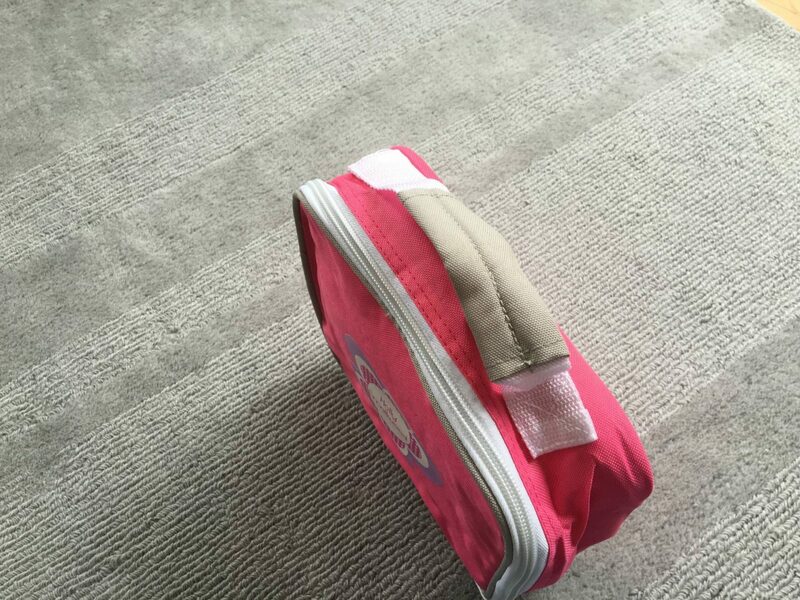 It has a separate section at the front which she liked to keep her stickers in too. 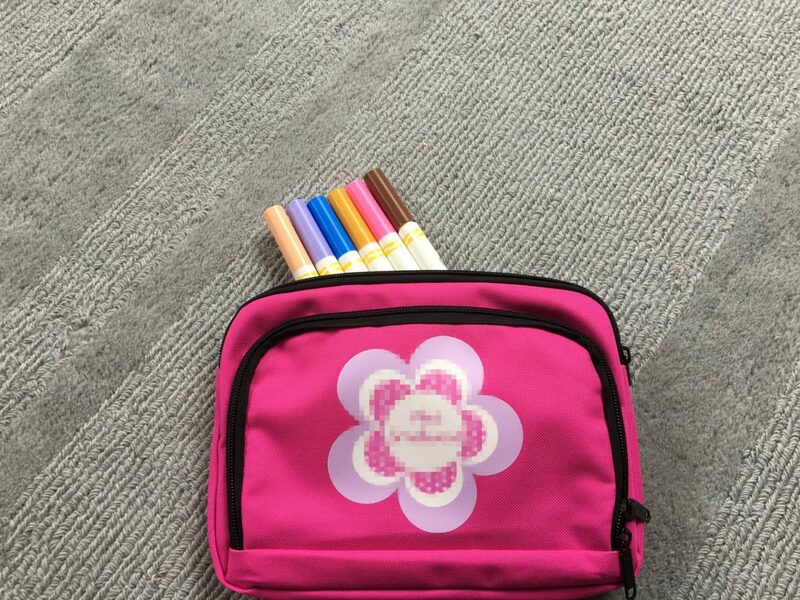 The pencil case RRP is £9.00, a great price for a personalised pencil case. During the summer we love to go on picnic’s, whether its a trip out to the local farm or we just pop along to our local park, we take a picnic. The girls love it, it’s easy and its keeps days out a bit cheaper. 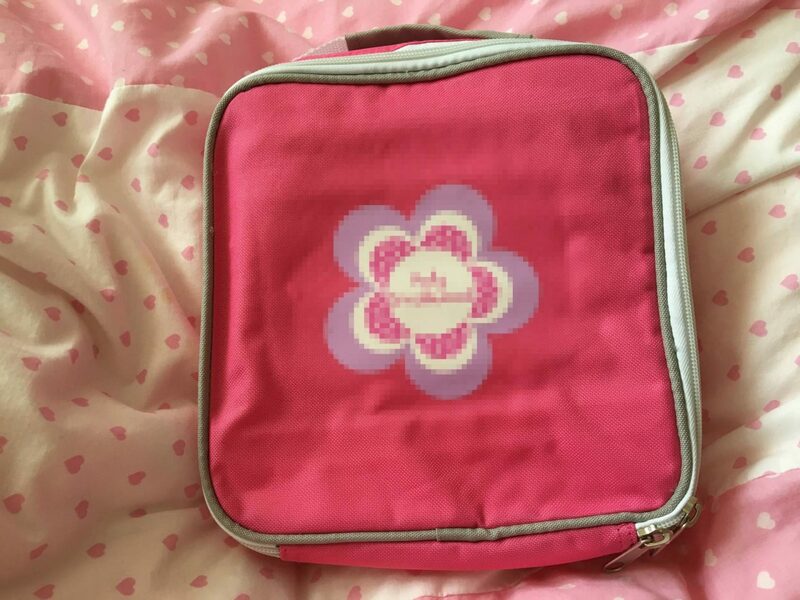 Normally I would just a pack up my cool bag, but this spring when we had our first one Alice decided she would take her picnic in her preschool lunchbox. Which was all fine, until Holly then wanted to be like her big sister, she is totally in the copying stage. Name it Labels came to my rescue, as they have lunch boxes too and I quickly ordered one for Holly ready for all our picnic’s. 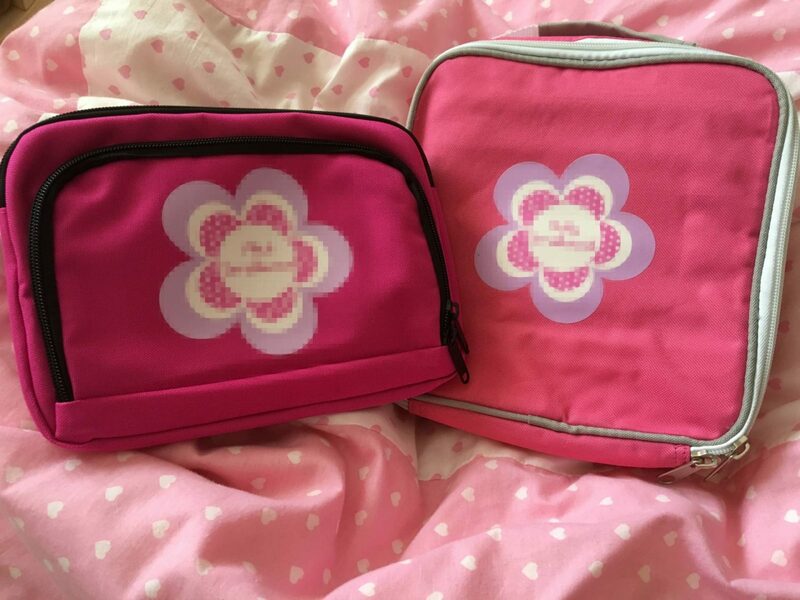 I went for the same design as Alice’s pencil case, pink with a flower. I also decided to add Holly’s name to it, as it won’t be long until Holly starts preschool (sob!) and I thought I might as well be organised now. When it arrived Holly’s face lit up to see she had her own lunch box. 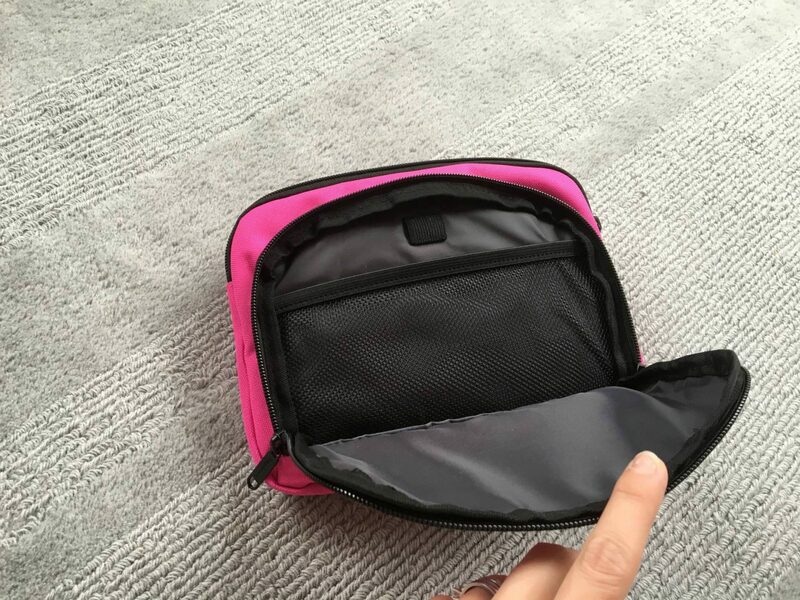 It is a great size and can fit in all her lunch easily. It is made from strong polyester with a good insulated lining, which is great for days out. With a wipe clean interior and a handy handle to carry it with. Especially as Holly likes to carry it herself. Matching bottles and backpacks are available too, so I might have to pop over and order a bottle too. The lunchbox has an RRP of £16.99 which I think is great value for money with the personalisation. Name it Labels, have so many products to offer. And yes, they do sell name tags, so I wasn’t completely wrong, they just sell lots of other great items too. 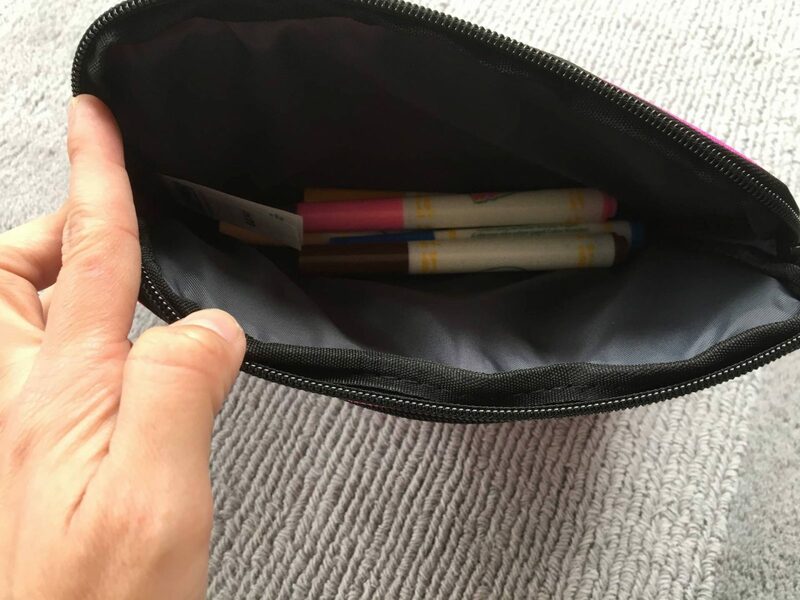 Disclosure: Name it Labels sent us the pencil case and lunch box for the purpose of this review, however all opinions are my own. Note: I have blurred out their names on the photo’s. These are lovely, I’ve entered! I need to buy some name labels for Libby. Isn’t it scary that this is happening already? How did our babies get so big? What a cute pencil case and lunchbox! 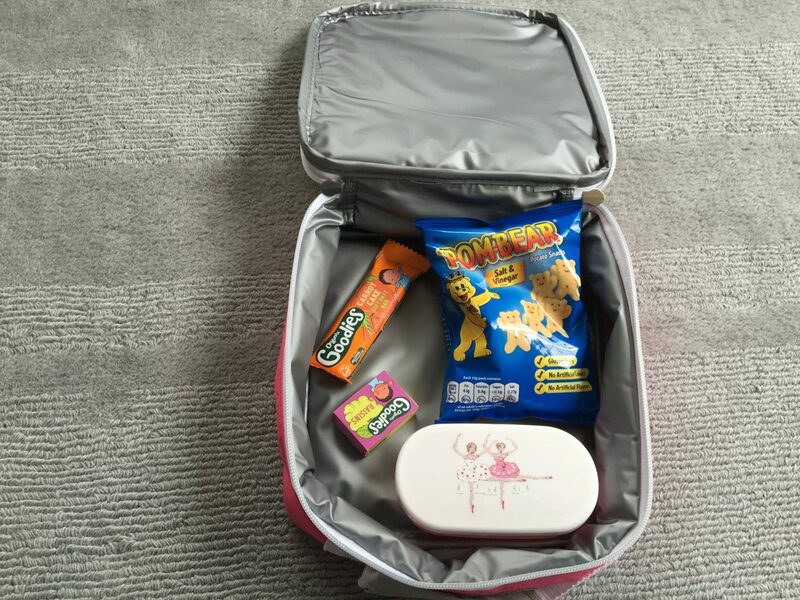 Love the idea of it being personalised, the number of times when I was teaching that lunchboxes became confused and swapped was too many to count! This would certainly solve that! Also love how excited they were about having something that was completely theirs! A lovely piece and great competition! You’ve reminded me that I need to order some new labels for N. The ones this year were another company and I just stuck them, didn’t iron on, and they’ve not lasted that well. My little one is going to be starting nursery school in September is we are going to be needing some of these! These are such lovely personal items. I bet your girls absolutely love them! Lucky little ladies. If they fight over things as much as my boys do, it will be brilliant to have names on them to know whose is whose. These look really lovely, my son has angry birds everything but these would be so handy so he doesnt lose anything. The pencil case and lunch box is cute. My kids start nursery next year and I am wondering how possible that is. Feels like just yesterday I had them.